Multiculturalists are today celebrating the rewards of diversity after both Melbourne and Sydney hosted vibrant displays of senseless non-White violence involving hundreds of wild black savages. 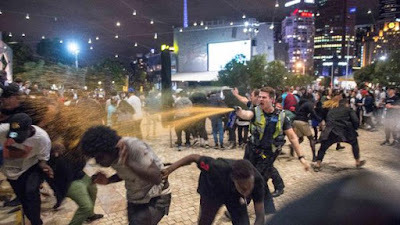 Melbourne erupted after Islander and African gangs arranged to hit each other with baseball bats and other objects at a major section of the city because White oppression meant they were bored. Not providing constant free entertainment for non-Whites with infinitesimal attention spans is considered a human rights violation. 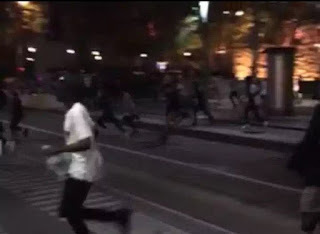 Two street gangs have clashed violently in Melbourne's CBD, sending terrified innocent bystanders running from Federation Square and a Swanston Street cafe. Others were forced back inside a restaurant for their own safety as a lengthy brawl erupted in Federation Square, where hundreds of families had gathered to celebrate the Moomba festival and watch the annual fireworks, about 10pm on Saturday. "We were absolutely terrified," said Troy West, from Bendigo, who spent 45 minutes locked inside a Federation Square restaurant as police tried to contain the rival groups outside. 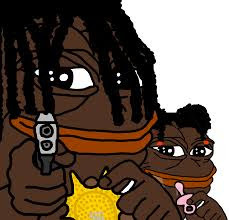 "You're there for a night out and you don't expect to see gang violence." The melee involved scores of youths believed to be members of the Apex and Islander 23 teenage street gangs, who had started clashing in the city from about 7.50pm. Police used capsicum spray to disperse the gangs, but the groups then moved to Swanston Street, where they stormed Brunetti's cafe in City Square and began hurling chairs. Patrons who had been sipping coffee only moments earlier ran for safety, while others reportedly jumped on tables in a bid to avoid the violence. The gangs also stopped trams along Swanston Street and surrounded a police car, according to reports. Of course, for Whites to understand that they are now on the way out it is important to let those of the ebony hue express themselves. After all, you make them feel inferior with your science, maths, architecture, philosophy and your centuries of sophisticated art. These are simple creatures, goyim, and their idea of entertainment involves taking a rock and bashing it over somebody’s skull. This is probably why police knew about this but because of cultural sensitivities they did nothing to prevent it. Police were aware of the threat of violence, with reports surfacing on Saturday afternoon of the gangs' plans to meet in the city. The fight was reportedly organised over snapchat - a video messaging app - by the Apex gang. A photo of weapons, including baseball bats, knuckle dusters, machetes and knives, was sent out over the social media app. Channel 7 News reported that one of the gang members also posted: "Moomba gon be lit aha." Apex is a gang of young criminals, known for violent car thefts across Melbourne's south-east suburbs. Earlier this year, one of its young members threatened to walk into a Melbourne police station and shoot an officer. In a statement on Sunday morning, police said they were investigating a "series of affrays", as well as four robberies and an assault, which occurred in Federation Square and surrounding areas on Saturday night. Now you get to experience the joys of White man’s burden; working to house, feed, and incarcerate lower races that were nothing but damaged prototypes on the workbench of evolution. Everything you built -- your entire dreams -- reduced to this. Moreover, those same streets you pay the upkeep of are now off-limits to you because you did diversity. Two men have been charged after a series of brawls involving more than two dozen people rolled through Sydney's CBD in the early hours of Sunday morning. Police are still investigating what sparked the fights, which occurred in a laneway near the Metro Theatre concert venue and also spread down George and Pitt streets, about 3am. One resident nearby said he woke to screaming and shouting and from his balcony filmed as a woman knocked another to the ground. In the footage, police can be seen sprinting towards the pair and heard repeatedly shouting "go home". The brawls, he said, lasted for at least half an hour and police were moving between different locations trying to break up separate fights. "There was a bunch of smaller skirmishes. It looked like there was a lot of people around and I think there were a lot of people fighting in a lot of different places," the man said. Acting Inspector Steve Hodges said police thought it was a single group of men and women involved in the fights, but it was not known if they had left the concert venue or had just gathered in the area. "From what I understand, the majority of the persons involved were of an African descent," Acting Inspector Hodges said. "Whether it was two separate groups or two groups within a group, that's all part of what we're trying to find out." At the time the fights started, it is believed a concert raising money for cyclone-devastated Fiji had just ended and crowds spilled onto the streets. A lecturer in philosophy yesterday said at a radical antiwhite, anti-Afrikaner conference at the University of the Witwatersrand that “whites should die”. 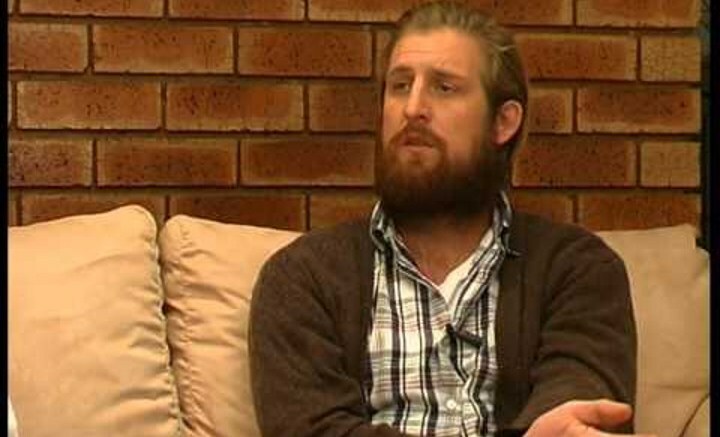 The lecturer, Terblanche Delport, from UNISA, was reported by the Johannesburg newspaper Beeld as saying that “the only (life) purpose for whites, specifically Afrikaners, is to await their death or to commit suicide, like the sumarai falls on his short sword when he has fallen into disgrace”. His statement comes amid a wave of anti-white and anti-Afrikaans racial feeling in the country with Afro-Marxist groups calling for the ethnic cleansing of Afrikaners from the country, and campus riots regularly breaking out. 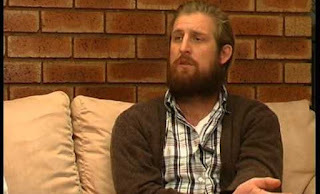 His call for whites to either commit suicide or passively await their deaths, presumably at the hands of black revolutionaries in a race war, was delivered at a conference on “Afrikaner identity” organised by the “Department of Diversity Studies” at the University of the Witwatersrand run by another radical, cultural-Marxist academic, Melissa Steyn. So while the African flies in luxury into the nations your White descendants died building and lives off your inheritance, thanks to us Jews, back in places like Zimbabwe Whites must live among rats and rubbish waiting to be killed by blacks because they are White and not entitled to refugee status. It’s funny, eh, goyim. And in America, the land of democracy, you are free only to vote for White Genocide otherwise Soros’s Anti-Trump attack force will burn the city down. But it's also funny when you think the hysteria that the controlled media in Australia has whipped up over the patriot group United Patriots Front and its leader Blair Cottrell. Together with the government they have run a campaign to demonize these loyal Whites as being the worst possible thing that could happen to society. Meanwhile, there'll be no comment about these African city wreckers. And you know why, goyim! The SAS would have been sent in if the riot had occurred in Toorak or Caulfield. Not likely though, even these low IQ monkeys know who not to piss off.